Science and engineering driven technologies – so called “Deep Technologies” such as AI, Virtual Reality, Big Data, Blockchain and others – have the potential to transform humanity’s biggest challenges into solvable problems. For this to succeed, collaboration between established organizations and audacious entrepreneurs needs to happen. 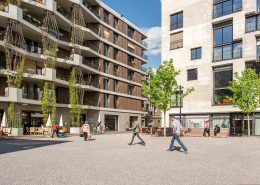 This is where Kickstart Accelerator comes in: Every year, the innovation acceleration program run by Impact Hub Zurich and launched in 2015 by digitalswitzerland, brings around 100 such entrepreneurs together with corporates, cities, universities and foundations for innovative tech partnerships and Proof of Concepts. One of the focus subjects for Kickstart Accelerator is Smart Cities – how can innovation help to build more responsive, resilient and energy efficient cities? A big interest lies in innovative companies with know-how and ideas in the cleantech energy sector. Kickstart aims at bringing these startups together with corporations and cities in order to foster innovative solutions in this field. Just to give you one example from last year’s edition: Two companies joining forces showing their commitment and contribution towards a true energy revolution. 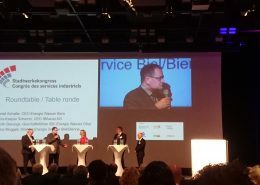 Swisscom (the Swiss telecommunications company) and DCbrain (a European provider of AI-based software for network optimization) worked together to better understand the energy consumption of data centers. Swisscom engineers are now able to monitor energy consumption more efficiently, while data-driven decisions ensure that security margins remain unchanged. It is this kind of innovative collaboration that Kickstart Accelerator is looking for. This year once again, the program has partnered with influential corporations and institutions. For the first time, Kickstart is proud to announce a cooperation with the Swiss Federal Office for Energy (SFOE). Kickstart Accelerator and SFOE will work together in order to promote innovation leading to a more efficient use of energy as well as renewable energy sources. An important aspect of this collaborative force is a knowledge and technology transfer into the cleantech sector. Next to Smart Cities & Infrastructure, Kickstart runs three more verticals in 2018: EdTech & Learning, FinTech & Crypto as well as Food & Retail Tech. 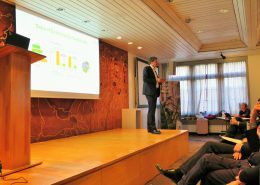 The program is supported by a large number of established partner organizations across industries and the private and public domain: Coop, Credit Suisse, Migros and Swisscom as well as AXA Winterthur, Department of Education of the Canton of Zurich, City of Zurich, ETH Zürich, EY, Gebert-Rüf-Stiftung, Helbling, Mercator Foundation Switzerland, PwC Switzerland, Stäubli, Swiss Federal Office for Energy, Swisslinx and University of Zurich. Standortsuche geologische Tiefenlager: Stellungnahmen sind online BFE Marktprämie für Grosswasserkraft: Der Countdown läuft!